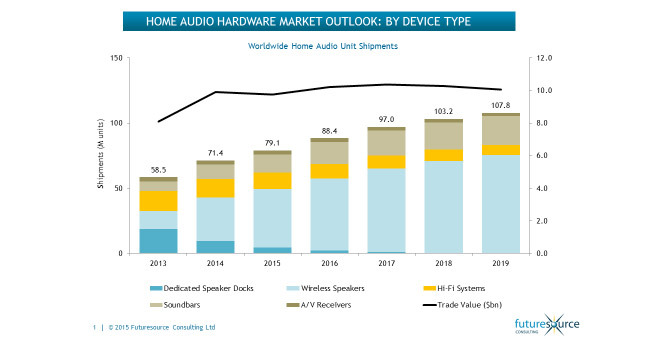 Worldwide demand for home audio devices continues to gather momentum, with the category outperforming the wider CE market and on track to finish 2016 at 102 million units shipped and close to $11 billion in trade value, according to the latest market report from Futuresource Consulting. 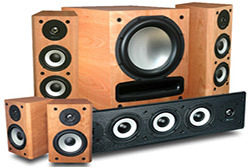 “Over the last few years home audio has been the go-to growth category for CE, but 2016 is pushing expectations even further,” says Rasika D’Souza, a senior market analyst at Futuresource. “Against a backdrop of activity from soundbars and Bluetooth speakers, and the success of Amazon’s Echo and Alexa, it’s been a record year that is also building firm foundations for future growth. During 2016, voice personal assistant speakers have taken centre stage due to the success of Amazon Echo and the debut of Google Home speakers. The category will quickly be extended, as Microsoft teams up with soon-to-be-Samsung-owned Harman to provide a speaker powered by Windows 10’s Cortana – just one of the Cortana hardware solutions that Microsoft will likely unveil during 2017.